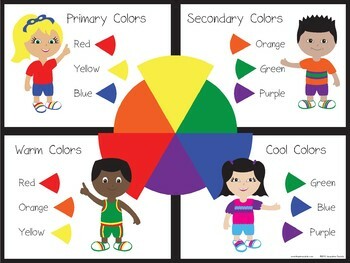 Want a fun color wheel hand out? Need your students to learn the primary colors, secondly colors, warm colors and cool colors? You've found it here and it features images of The Primary Kids.